Hello! Today I have a card over on the Hero Arts blog and it features a brand new stamp set from the 2014 catalogue called Missing You. This awesome set is sold in aid of Operation Write Home, and I just LOVE the stamps in it. All of them. 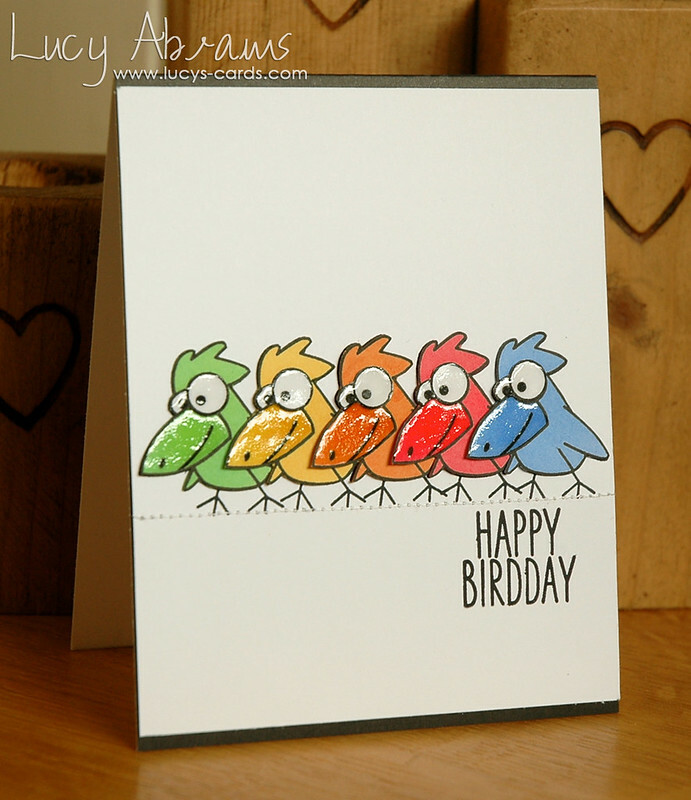 For this card, I used a fun technique… I wanted a rainbow of birdies, but could not find the perfect card stock colours. So I used some Hero Arts Shadow Inks - swiped them over the paper, left them to dry, then stamped on the birds. So simple. I used Green Hills, Butter Bar, Orange Soda, Pale Tomato and Cornflower… a PERFECT rainbow of colours. I stamped the birds again on white card, then cut out just the eyes and paper pieced them on top. Then I added Glossy Accents to the eyes and beaks. Love the shine. To see more about this card, click HERE. So cute Lucy, love it! These birds are just sooooo fun - love it Lucy. Love how you created the cardstock too - neat idea. This is so darned cute! 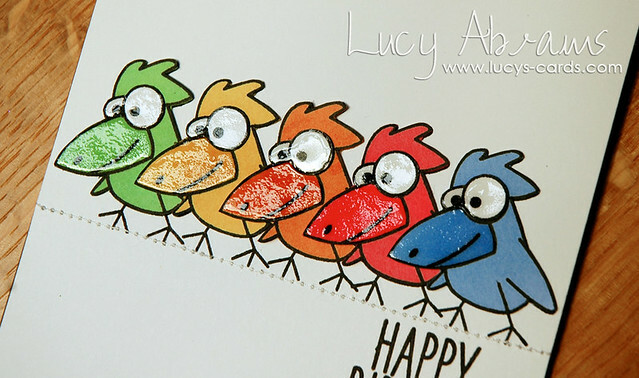 Love the colors you used & the glossy accents did make the beaks & eyes really standout. Thanks! Oh my goodness, what an adorable bird! I love how you colored them and how you used the glossy accents. Fantastic card! omg i have to have that bird stamps i love it!!! all your cards are great!